The most important step of all? 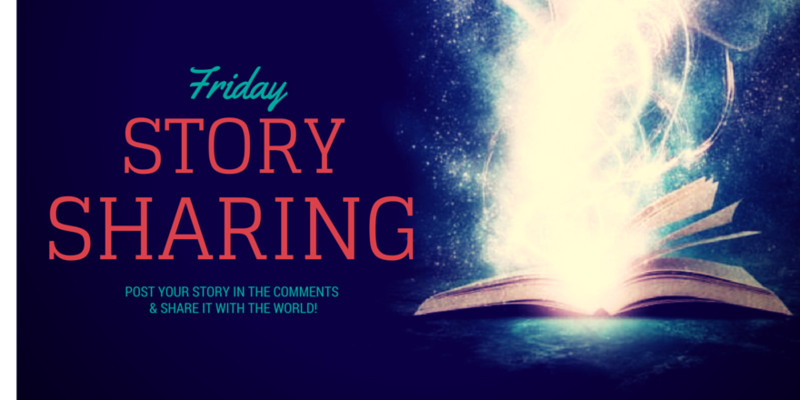 Let everyone know about your story being shared here! Click the icons below to share to your favorite social media platforms, or you can post a blog entry and link back to here. Whatever you want! An award-winning Amazon bestselling collection of short Science Fiction stories. With 4.8 stars and 31 reviews, The Power of Six has 6+1 short science fiction stories, including the award-winning, “I Come in Peace”. It has repeatedly reached #1 on Amazon since its publication last May. 3) A short blurb about your story (try to keep it to an easily Tweetable length–under 140 characters)—Four horror-filled tales to chill your blood. Bad husbands, writers groups, a nightmare, and gardening are the settings for endings with a scream! 3) A short blurb about your story (try to keep it to an easily Tweetable length–under 140 characters)—A collection of humorous essays about the simple life of a farm wife from middle America. These short stories will make you chuckle and touch your heart. Enjoy these stories about childhood, family and life. 3) A short blurb about your story (try to keep it to an easily Tweetable length–under 140 characters)— Four short stories laid out like a meal: appetizer, salad, entree and dessert. Recipes included…but this is NOT a recipe book. These are humorously dark tales of women pushed too far and men who get their just desserts. 3) A short blurb about your story (try to keep it to an easily Tweetable length–under 140 characters) Can they battle inner demons long enough to defeat legions of enemies and keep their leader, Alarandia, from seizing the Starstone?